Can you believe it? Speaker bureau Jeremy Lee Associates has turned 25. Since its conception in 1990 so much has changed; the fall of the Berlin Wall, the smart phone was invented, a British guy is in space! However some things stay constant- JLA are still top of the speaker bureau game after 25 years. So to celebrate we threw a little party. It was bizarre. Fantastic (thank you Sarah Blake), but bizarre. 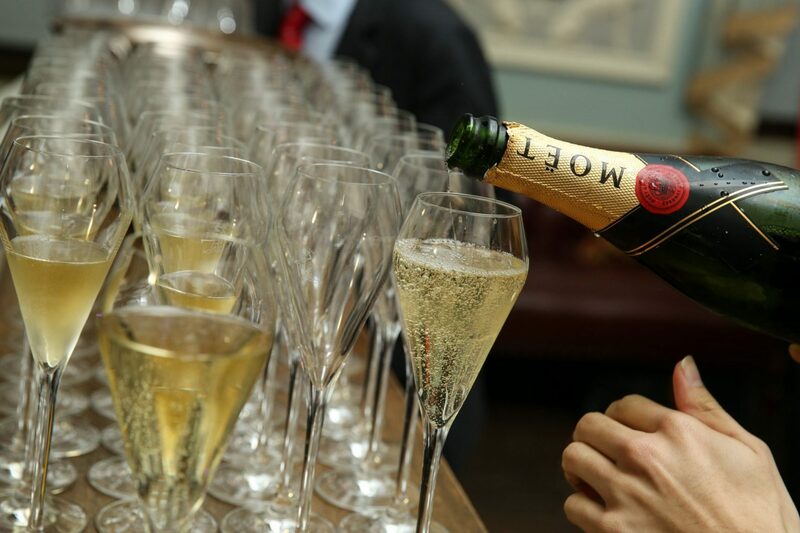 The pictures of JLA’s potted history were up, the champagne was poured and the guests began to arrive. General Sir Mike Jackson led the charge with precision military timing swiftly followed by John Sergeant and Eve Pollard. It was honestly the oddest collection of people in one room. 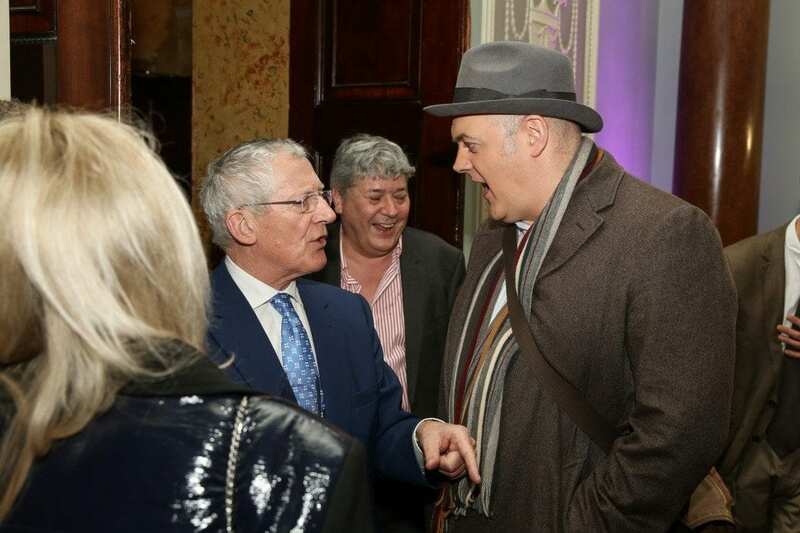 Dara O’Briain was seen having a chinwag with Nick Hewer. 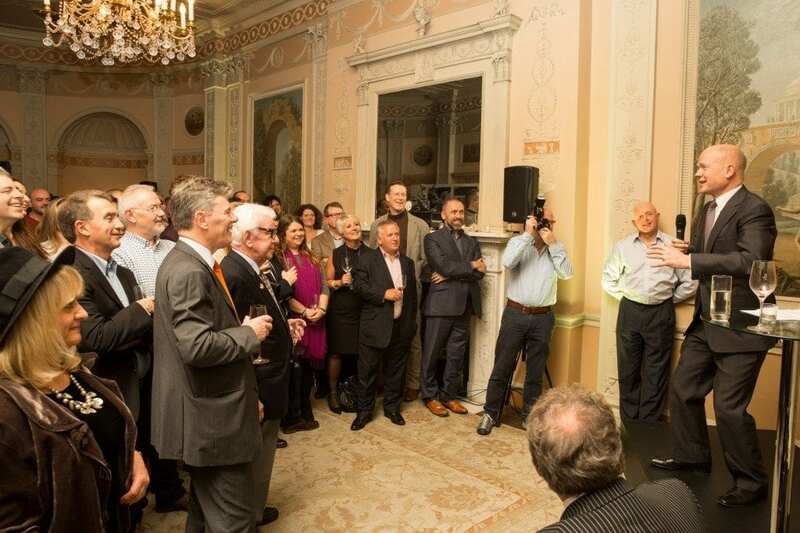 Alan Chambers, Ed Coats and James Cracknell had an opportunity to out-do one another with their extreme stories. 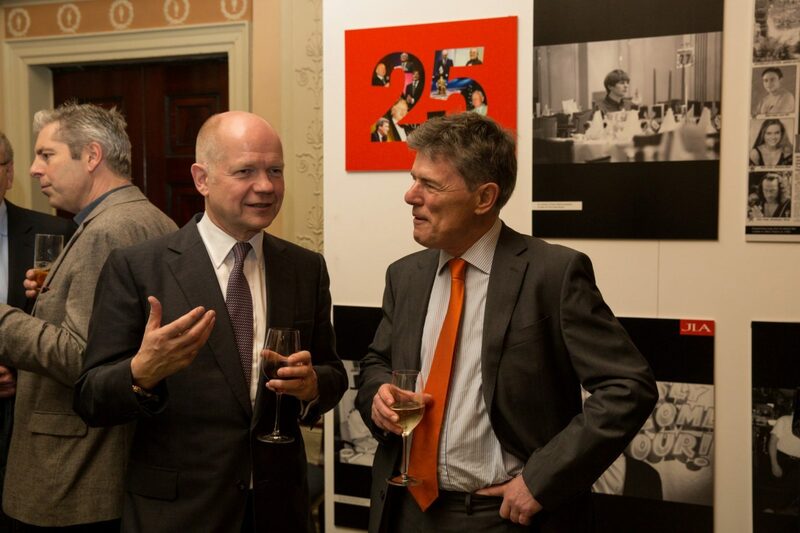 Economist David Smith was seen putting the world to rights with William Hague. There was more champagne and then the speeches. Ellis Watson opened it up with a story of the generosity of JLA clients after he’d had a few too many and ended up getting into a fight with himself. 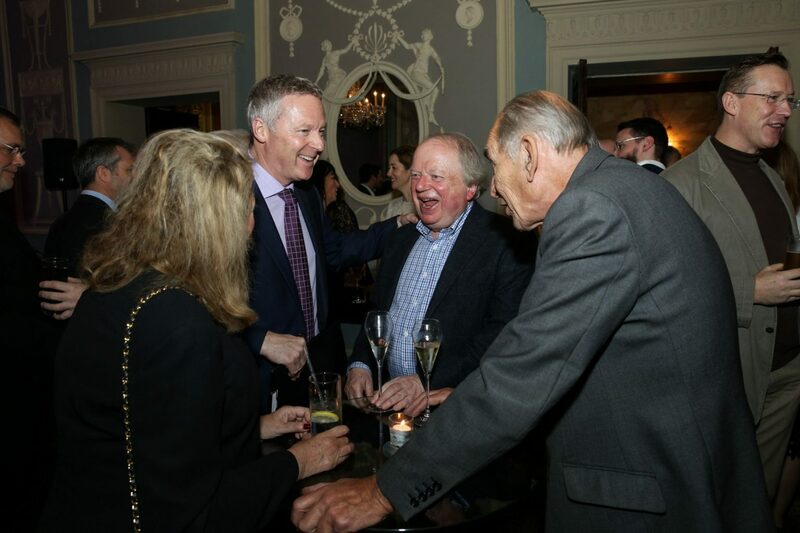 Our most successful speaker, the wonderful and entertaining conference speaker Guy Browning, who over the last 25 years has clocked up over 400 speeches, followed him. Guy took us through the numbers as only Guy can, and enjoyed relating the worst feedback a conference speaker has ever received… we won’t mention any names. Jeremy Lee said his thankyous and passed it succinctly over to the Rt Hon Lord William Hague. After all that cheering and jeering the excellent wait staff proceeded to ply us with even more champagne, amazing canapés (miniature sausage and mash- genius!) 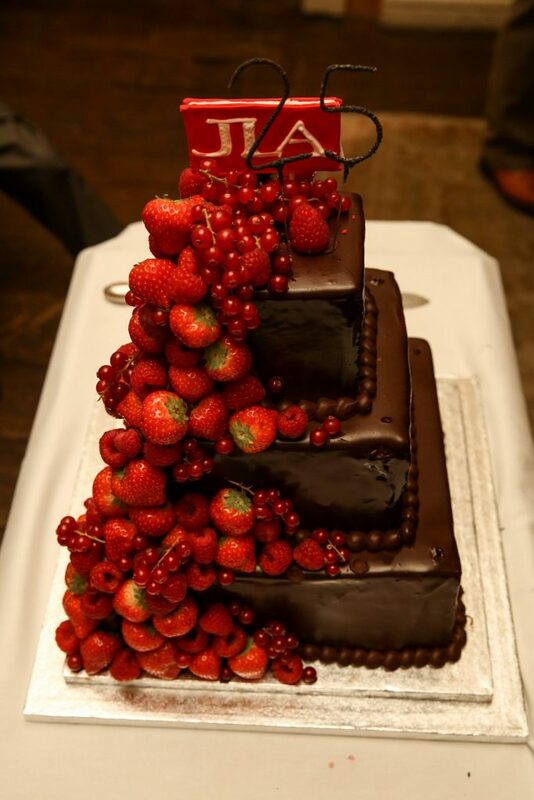 and finally cake! Success! All that was left was to guide the stumbling guests (mostly JLA staff) to the taxi rank and wish them luck in their day jobs the next day. For us here at JLA, after a few hours sleep we were back at the desk and ready to do it all again in the evening. Christmas is really the best time of year.